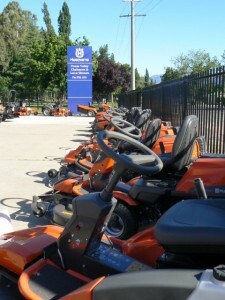 At Ovens Valley Chainsaws and Lawnmowers we are a locally owned business that has been in operation for over 25 years. Purchased in 2007 by Michael Piazza and Robert Villella, we are committed to hard work and strive for customer satisfaction. With industry experience and expertise, we pride ourselves on delivering personal service and advice and believe that nothing is too much trouble. We sell only quality and reputable brands and equipment, and repair and service all products sold as well all other brands within product groups. At Ovens Valley Chainsaws we specialises in the sales and service of most makes and models, and do all we can to help you find the product to suit your needs. We stock a large range of products, from lawnmowers, chainsaws, blowers, brushcutters, hedge trimmers, pumps and much, much more. Our large showroom ensures you have a range of options and we also have a range of second hand products available. 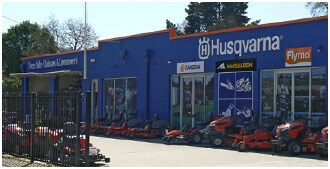 We pride ourselves on our quality brands, including Husqvarna, Mucculoch, Dunlite…. It is also our goal to ensure that your product quality remains with quality servicing. We offer a full service workshop for all makes and models of power equipment. Our trained, professional staff will endeavour to have your product running like new each and every time. To make for an even greater experience, other services include, pick up and delivery.